I love making soup in my slow cooker because I can incorporate lots of vegetables into one meal while still being frugal. 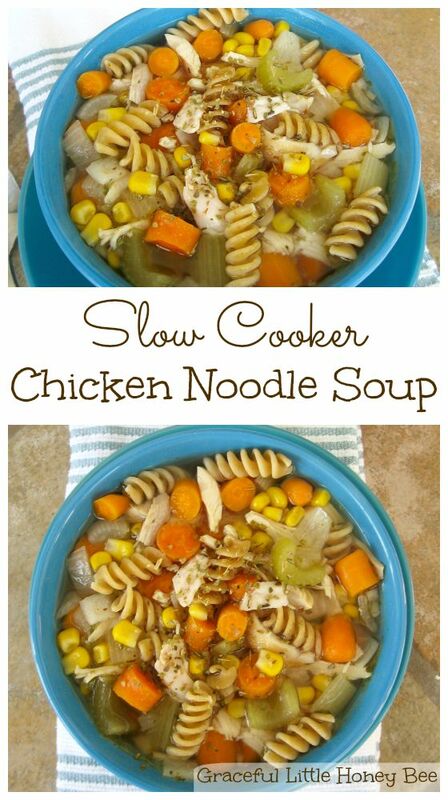 Chicken Noodle Soup has always been one of my favorite soups and I love using my slow cooker to put it all together. Paired with homemade bread, this soup becomes a hearty meal. 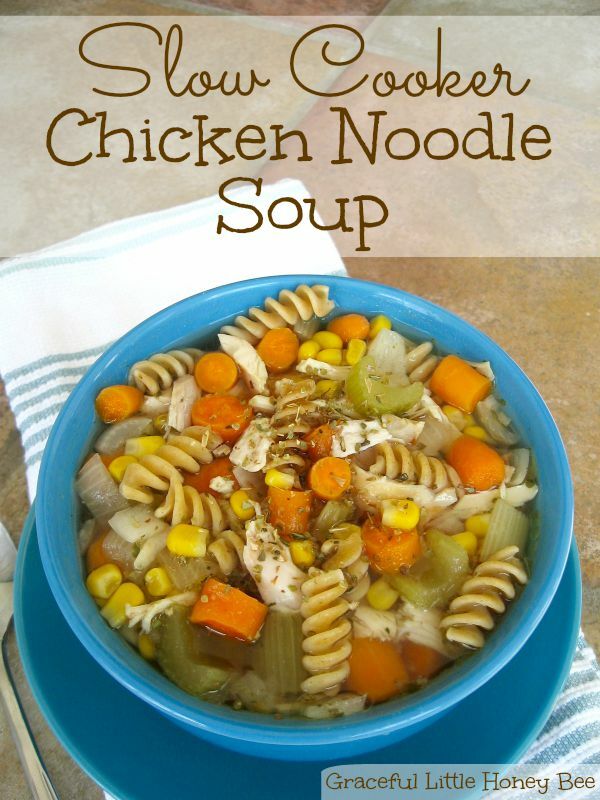 I make this recipe at least a couple of times per month during Fall and Winter. Enjoy! Step 1: Add all ingredients, except noodles to slow cooker and cook on low for 8 hours. Step 2: Cook pasta and add to soup just before serving. Add all ingredients, except noodles to slow cooker and cook on low for 8 hours. Cook pasta and add to soup just before serving.